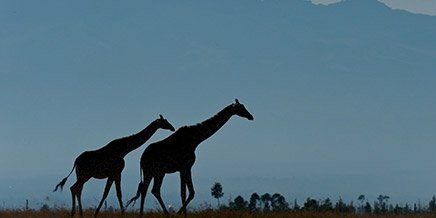 The Ngorongoro Conservation Area (NCA) offers one of the richest wildlife viewing experiences on the African continent. 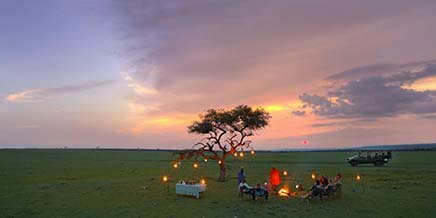 Part of the Serengeti ecosystem, the Ngorongoro region covers 8 292km² and encompasses expansive short-grass plains on the southern border of the Serengeti National Park and the dramatic Ngorongoro Highlands region, with its enormous calderas and spectacular vistas. 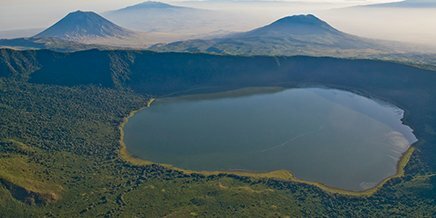 The NCA is a UNESCO World Heritage Site that takes its name from the Ngorongoro Crater, the world’s largest inactive, intact and unfilled volcanic caldera, formed two to three million years ago. 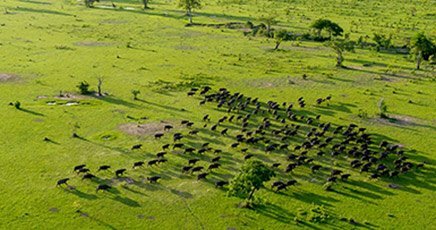 Approximately 25 000 large animals live in the natural enclosure formed by the 300km² crater, while the greater conservancy surroundings are home to wildebeest and zebra migratory movement in the wet season. 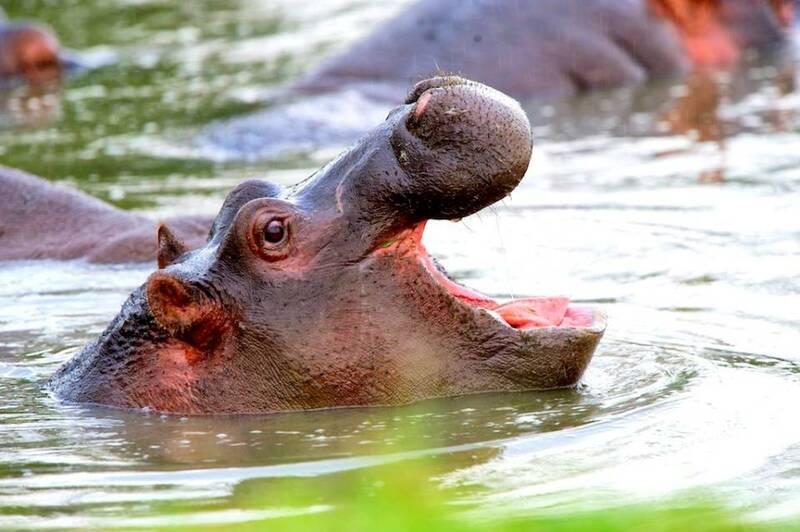 It was recently voted one of the new Seven Natural Wonders of Africa. 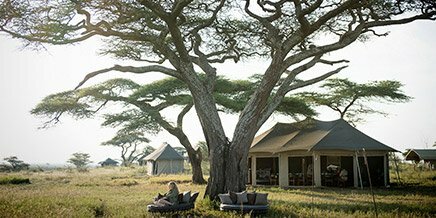 A Ngorongoro safari is one for the books. 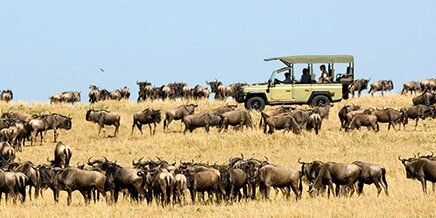 Part of the Serengeti ecosystem, the Ngorongoro Conservation Area (NCA) joins up with Serengeti National Park and the southern Serengeti Plains in the northwest. 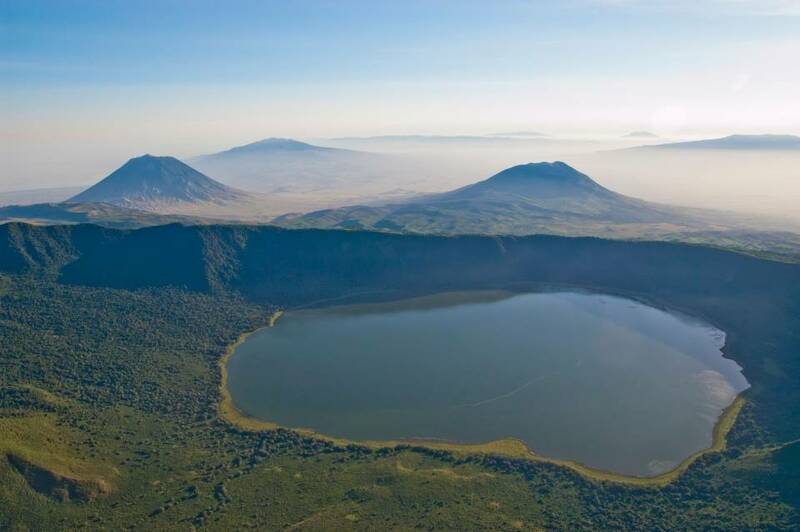 The south and west of the area are volcanic highlands, including the famous Ngorongoro Crater and the Empakaai Crater. 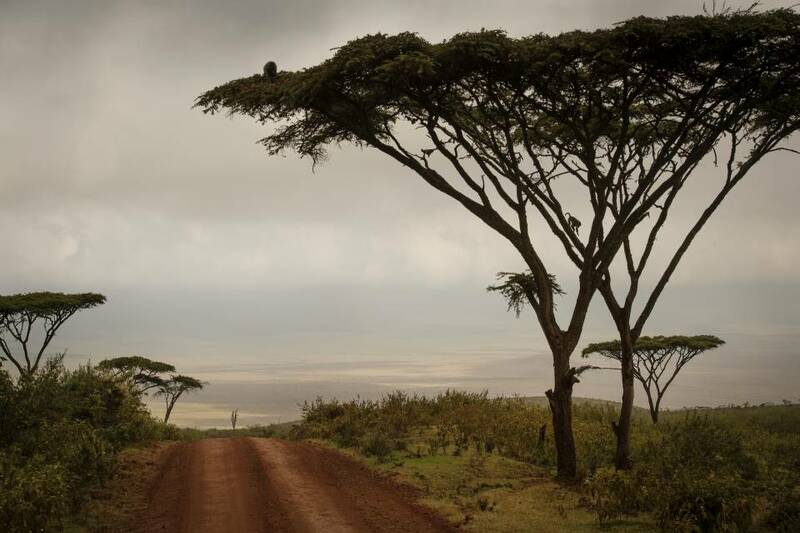 The southern and eastern boundaries follow the rim of the eastern wall of the Rift Valley, which also prevents animal migration in these directions. 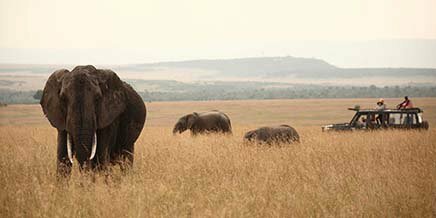 The beautiful, incredibly game-rich Ngorongoro Crater is the main feature of the region and is an iconic natural wonder of the world. 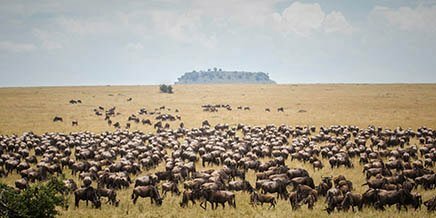 The enclosed caldera is an ecosystem in itself within the greater Serengeti: the mineral-rich floor of the spectacular bowl is largely flat and covered in nutritious grasses, providing a paradise for herbivores and predators alike. 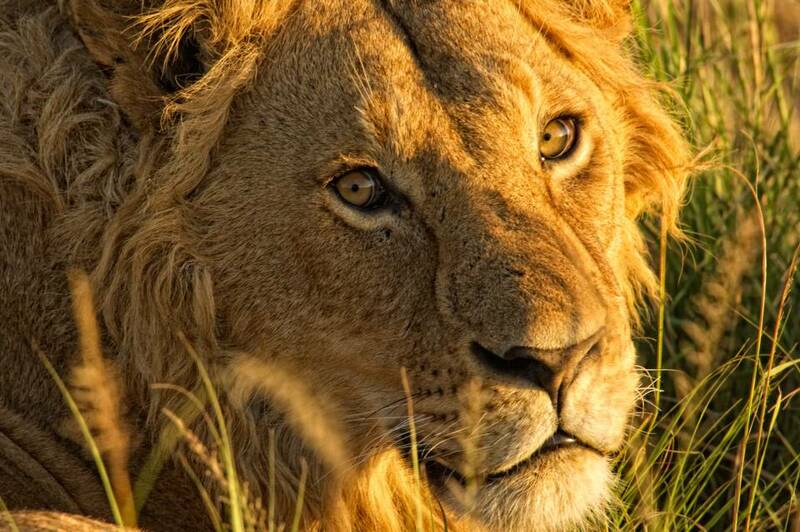 The Big Five can all be found in the area, as well as an extraordinary concentration of predators. 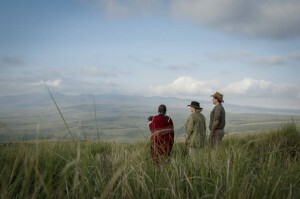 Beyond the Ngorongoro Crater are the pristine and wild Crater Highlands. This striking range of largely extinct volcanoes is home to the Empakaai Crater, a smaller but equally impressive crater, famous for the thousands of pink flamingo that line the shores of the soda lake on the crater floor. 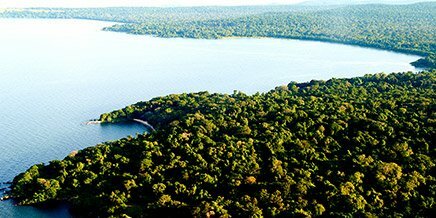 Also in the area is the Olmoti volcano, home to abundant wildlife and a variety of exquisite flora and fauna. The NCA also encompasses the archaeological and palaeontological site located at Oldupai Gorge and the early human footprints that were discovered at Alaitole in the Ngarusi area. 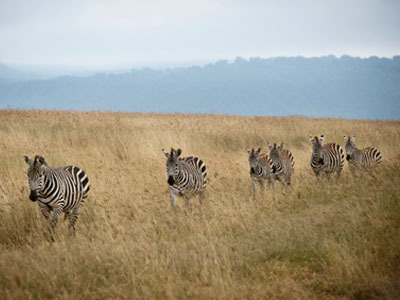 Zebras strolling in the Ngorongoro Conservation Area. 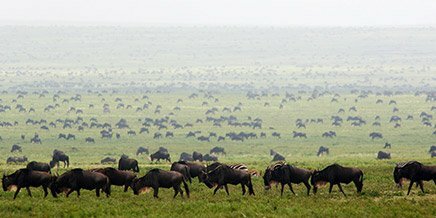 The pristine Ngorongoro Conservation Area is the jewel in Tanzania’s crown for good reason: the greater NCA area contains over 25 000 large animals and a wide range of bird species. 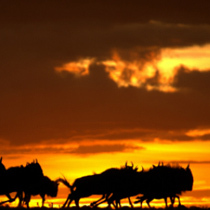 The Ngorongoro Crater is undoubtedly the best place in Africa to see the Big Five, and photo opportunities are superb. 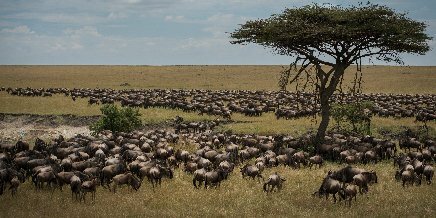 The mineral-rich floor of the crater is covered in nutritious grasses, attracting great herds of wildebeest, zebra, buffalo and Thomson’s and Grant’s gazelle that can even be seen from the crater rim, swarming across the landscape in great columns. 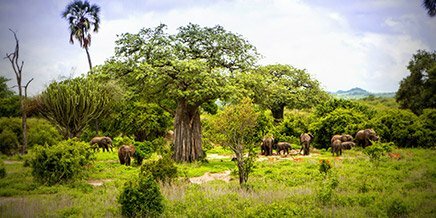 Sightings of black rhino hiding among the fevertrees are common, as are opportunities to spot old bull elephants with magnificent tusks around the Gorigor swamps. 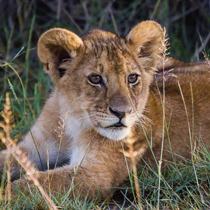 Populations of predators are extraordinarily high and lion and cheetah roam freely, and elusive leopard can often be spotted darting in and out of the Lerai forest. 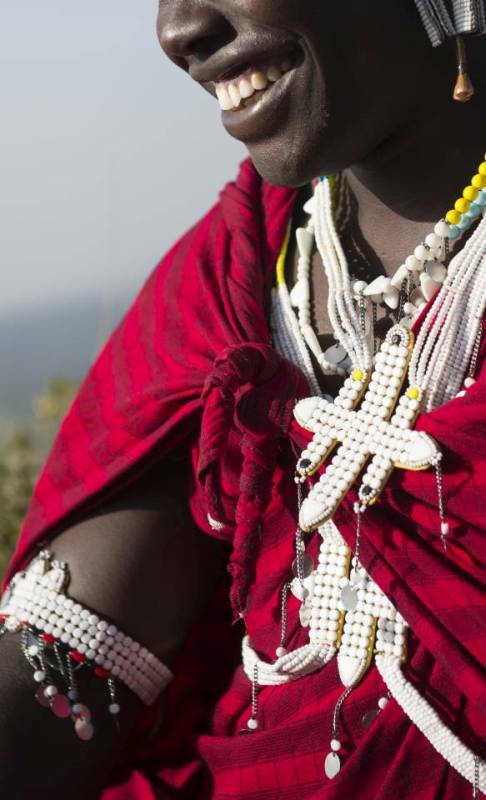 The Maasai first named the region El-Nkoronkoro, meaning ‘gift of life’, when they migrated from Central Africa in search of a permanent settlement. 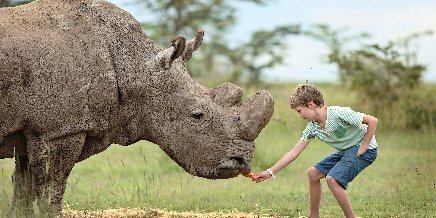 Wildlife and people have coexisted harmoniously in the Ngorongoro Conservation Area since those early days, which is why the NCA has been awarded World Heritage Site status, as well as being listed as an International Biosphere Reserve by UNESCO’s Man and Biosphere Reserve Programme. 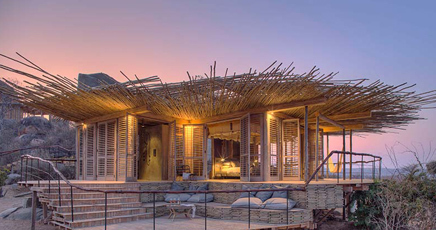 Land in the conservation area is multi-use – the only conservation area in Tanzania that protects wildlife while allowing human habitation. Land use is controlled to prevent negative effects on the wildlife population, and cultivation is prohibited except at subsistence levels. 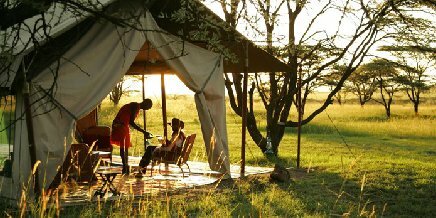 For chances to immerse yourself in the region’s rich cultural heritage, visit a Maasai homestead. 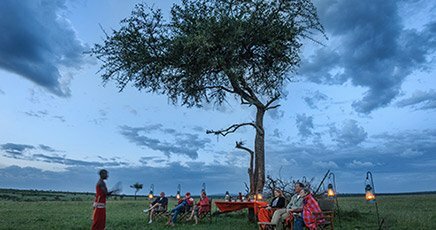 Enjoy local hospitality and be entertained by traditional dancers or test your herding skills alongside Maasai herdsmen as you join them to bring the cattle into the boma. As many of The Highlands’ staff members as possible are hired from the local community. Participating in community visits and visiting local markets are a great way to provide direct benefits to local villagers. 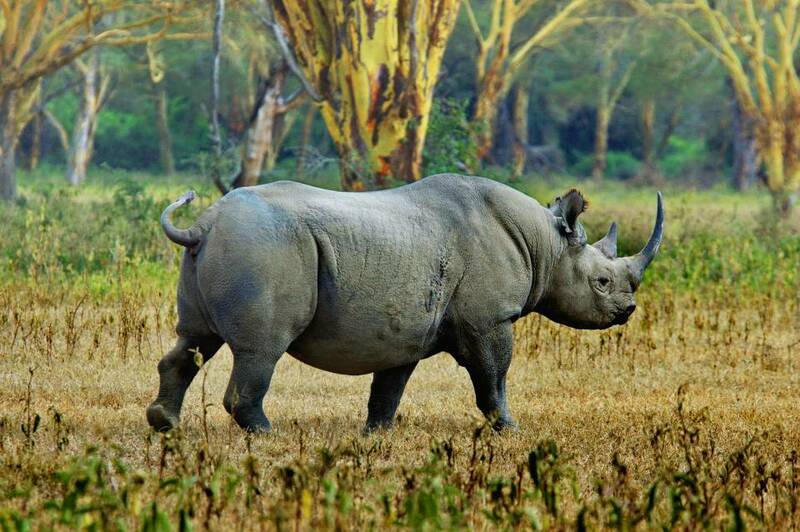 The Ngorongoro Conservation Area offers an astonishing variety and depth of things to do. All activities are available from The Highlands. 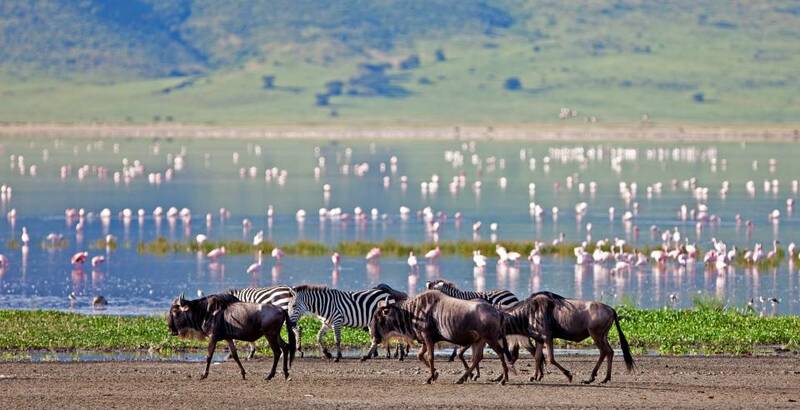 Breathtakingly beautiful, the Ngorongoro Crater is one of the best places on the continent to see the Big Five and is a highlight of any stay in the NCA. 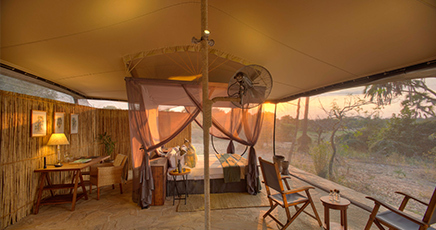 Enjoy a game drive in one of the most game-rich areas in the world. 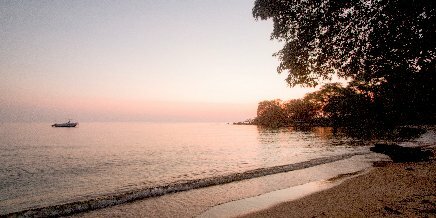 Explore the vast 300km2 floor with an experienced guide and stop for lunch in a shady spot under the trees, maximising your time in this unforgettable landscape. 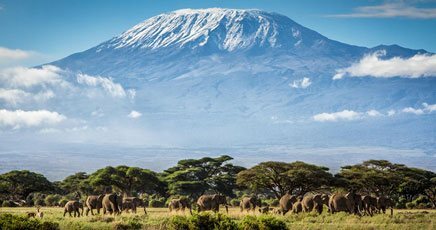 The jagged peaks of extinct volcanoes stand out on the skyline whichever way you look in the Crater Highlands – it would be rude not to explore them. 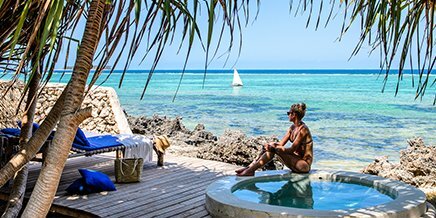 Climb to the top of Olmoti for a wonderful view of the entire area, or descend to floor of Empakaai Crater, famous for the pink flamingo that line the shores of the sparkling soda lake. 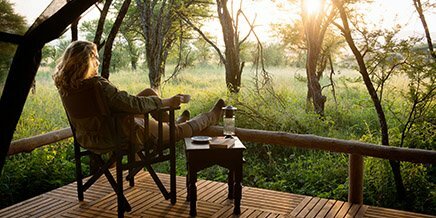 Maximise your time and enjoy uninterrupted game viewing by taking a packed breakfast or lunch with you on a game drive to enjoy in a shady spot. 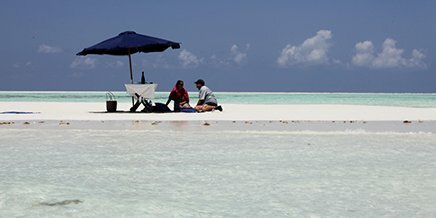 A hot lunch in the crater can be arranged and is an incredibly special experience. 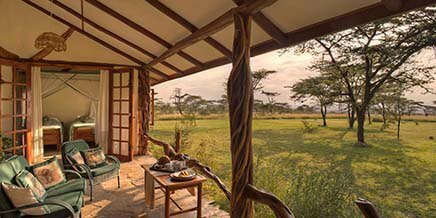 Starting directly from The Highlands camp, the Olmoti climb follows an ancient Maasai cattle trail through mountain forest, grasslands and rocky outcrops. Make the most of outstanding birding opportunities and the chance to see a vast array of butterfly species. At the top, you are rewarded with a magnificent view of the crater below. Descend into the Empakaai crater accompanied by an NCA ranger and walk to the sparkling soda lake on the crater floor, famous for the pink flamingo that congregate on its shores. 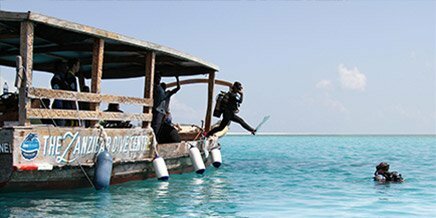 Because of The Highlands’ proximity to Empakaai, it is the only property in the region that gives you the opportunity to make this a half-day excursion. The NCA is renowned for its rich and varied birdlife. Habitats in the region include forest, grassland plains, lakes and marshes, each of which hosts a wide range of bird species, including northern European migrant species that overwinter here. Take note of the variety of birds that live at different altitudes as you descend the caldera and craters. The vast flocks of flamingo that filter-feed in the saline lakes make for exceptional photo opportunities. Specialist birding guides can be arranged for serious twitchers. 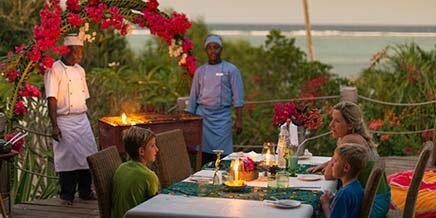 The culture of the local Maasai people is rich and vibrant and a visit to one of the villages in the area is a highly personal experience that delves a little deeper into the traditions that have defined this corner of Africa for centuries. 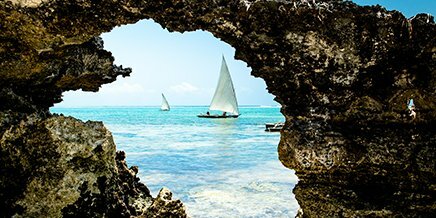 Spend the afternoon with the local Maasai in one of the neighbouring villages to learn about the traditional way of life. School visits may be possible depending on the time of year. 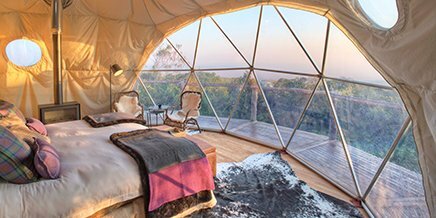 The Highlands is the perfect base from which to explore the Ngorongoro Conservation Area all year round. 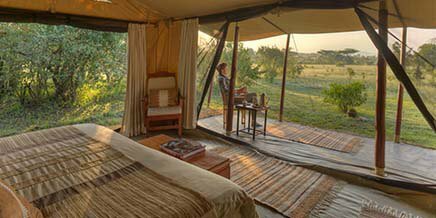 The famous Ngorongoro Crater is easily accessible from camp, while the setting ensures maximum privacy, a rich adventure and a range of activities not possible elsewhere in Ngorongoro. 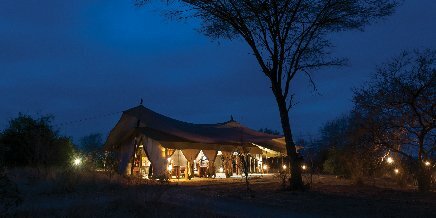 The Ngorongoro Conservation Area has a mild, temperate climate, although nights may sometimes get as cold as –1˚C (30˚F). 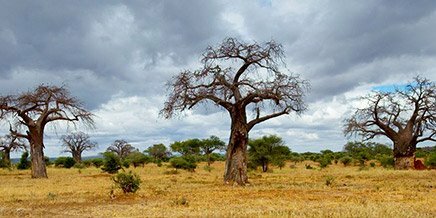 The area experiences a dry season, from June to October, and two wet seasons: the ‘short’ rains are from October to November, while the ‘long’ rains are from March to May. Whatever the season, rainfall typically is experienced in the form of afternoon showers and thunder – it is unusual for it to rain continuously throughout the day. The crater never gets very hot during the day, while the crater rim gets cold and can freeze at night. Warm clothing for early morning game drives is essential. During the dry season, vegetation in the caldera crater is less dense. 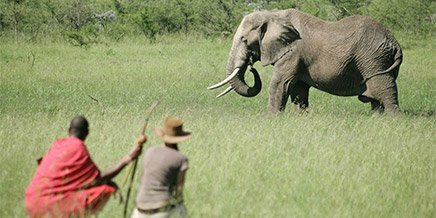 This increases the possibility of excellent wildlife sightings – especially of larger carnivores. Many of the resident general game species are concentrated around the permanent water sources and pans, making viewing easy and rewarding. The days are sunny yet temperate, with the crater floor peaking around 20˚C (68˚F). The afternoons are filled with soft light as the dust in the atmosphere filters the harsh sunlight, making it an ideal time for great photographs of the wildlife on the crater floor. 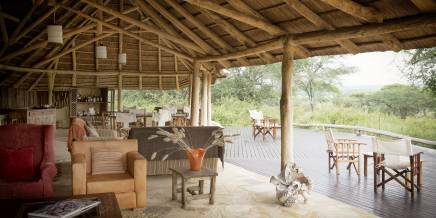 These rains are highly unlikely to impact your safari as it will not rain all day: showers usually happen in the afternoon. The short rains last about one month and can occur any time between October and December. The long rains are when the animals calve, attracting lots of predators and making for quite spectacular predator/prey interactions. Most of the rain comes in the form of afternoon showers or thunderstorms. Days are warmer than in the dry season: the average afternoon temperature is about 23°C (73°F) at the bottom of the crater, dropping to about 6°C (43°F) on the crater’s edge. 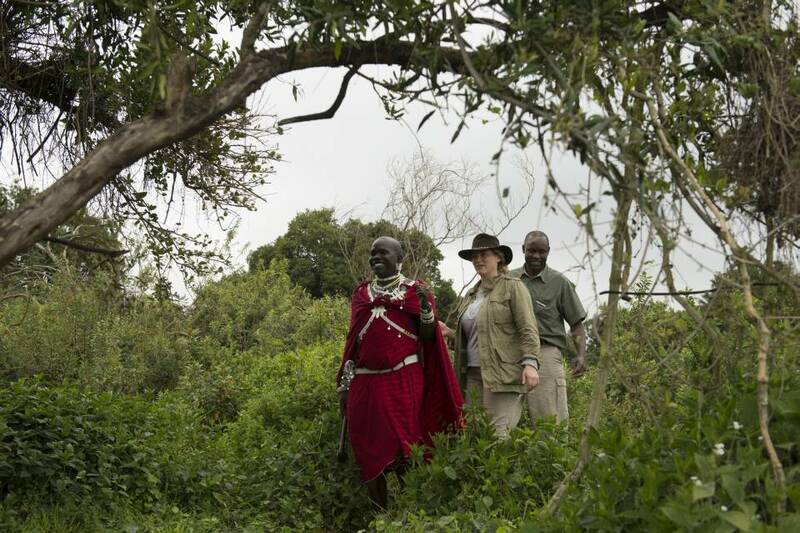 The NCA is home to the Maasai people who live cheek by jowl with wildlife. 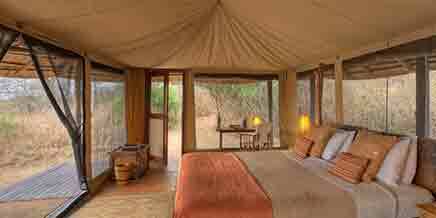 Wildlife and cultural tourism provides an alternative, sustainable, means of revenue for them. Your visit makes a positive difference to these enchanting people. Guests and maasai guide checking out the breathtaking view of the Ngorongoro Conservation Area.